As the American Civil War rages on, and in the absence of their father, Meg, Jo, Beth and Amy – our little women – help their mother Marmee to keep their New England household afloat. The struggles of adolescence take their toll on each of the girls in this page-turning Bildungsroman as they are each affected, in different ways, by love, war, sickness and success. In Little Women, a semi-autobiographical narrative, Louisa May Alcott has produced an enduring picture of youth that is both affecting and entertaining. Read it, and you will know the characters as you know your friends. 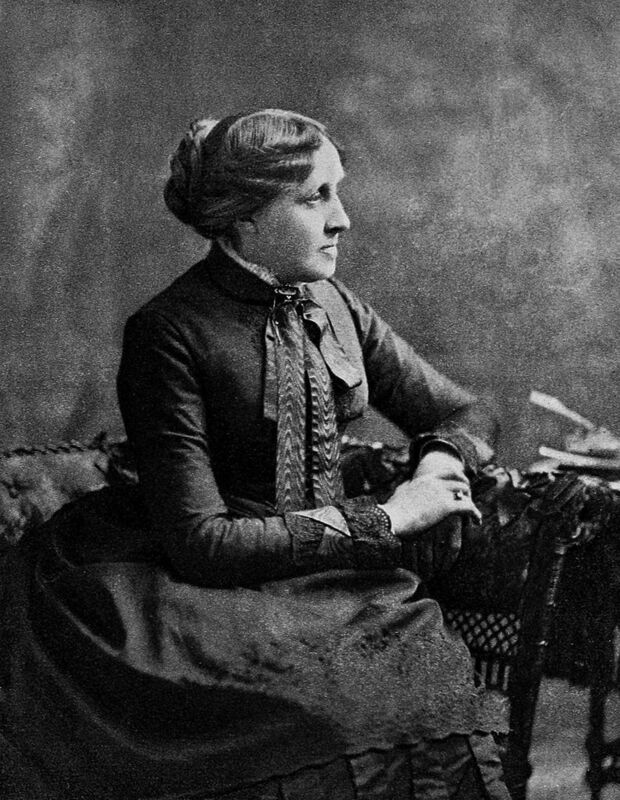 Following a childhood spent in a transcendentalist household where she was taught by famous intellectuals such as Ralph Waldo Emerson, Louisa May Alcott was forced into work early, writing when she could. She found literary and commerical success with Little Women and the three sequels that followed it. Born in Pennsylvania in 1832, Louisa May Alcott had three sisters – Anna, Elizabeth, and May – who were all educated in the tradition of practical Christianity by their mother Abigail May and father Bronson Alcott. Her Massachusetts childhood was enriched by the presence of family friends Ralph Waldo Emerson and Henry David Thoreau, who both spent time educating her in their own specialist fields. Louisa partially recreated her own personality in the character of Jo in Little Women. She took pride in measuring herself physically and mentally against local boys and didn't trouble herself with conforming to the feminine expectations of the time. Writing was always a passion of hers, and it was this imaginative inclination that led to her staging a number of amateur melodramas for her friends and family. Beginning with short stories and poetry that were published in popular magazines, Louisa made good progress in the literary world, publishing her first book at the age of 22. However, it was not until 1868, after encouragement from her publisher, that Louisa wrote Little Women, ‘a book for girls’, and with it shot to national prominence. Little Women broke the mould of adolescent fiction at the time by employing a living, breathing, imperfect heroine, rather than the cardboard-cut-out images of perfection that were prevalent during the mid century. Louisa died just after her father in 1888, having written 30 books, and is buried in Sleepy Hollow Cemetery, Concord, Massachusetts. She never married or had any children.